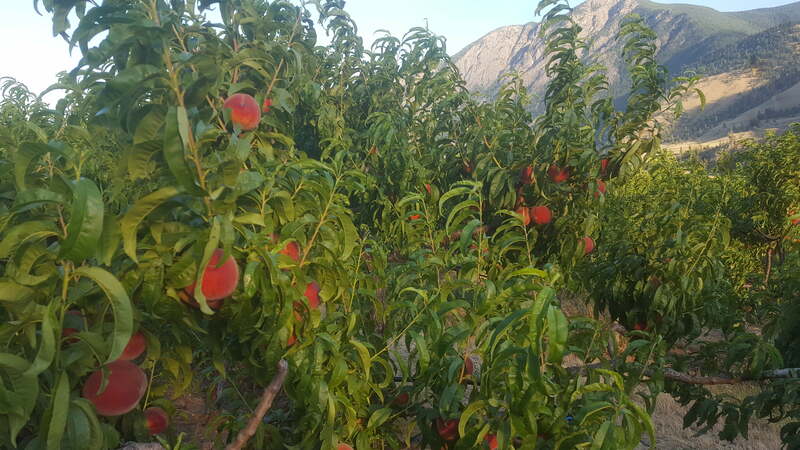 With continued heat in the Similkameen Valley, the tree fruit harvest is progressing, bringing on more varieties of apricots, plums and peaches.This week we have juicy June Plums, and the last variety of apricots we’ll be shipping, Rivals. We started picking Early Red Haven Peaches and will continue to tree-ripen and pick the ones that are ready over the next 10 days or so. Plenty of peaches on the horizon! At Food of the Sun, Red Russian Garlic has been harvested, some sent to market and the rest curing for longer term storage. We sell out of this premium garlic early every year- don’t miss out!